MongoDB 4.0 finally supports multi-document ACID transactions. During the presentation, we'll discuss what is a transaction and what ACID properties are. We'll show how to use transactions in MongoDB doing some real example and we'll discuss the pros and cons and current limitations. 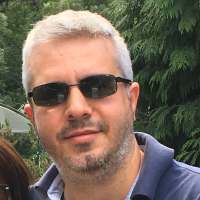 Prior to joining Percona as a Senior Consultant, Corrado spent more than 20 years in developing web sites and designing and administering MySQL in particular in the football industry. He is a MySQL enthusiast since version 3.23 and his skills are focused on performances and architectural design. He's also a trainer and a MongoDB consultant.